Wedding preparations are getting really busy-- just over a month left now!! But amid all the hub-bub of bridal showers, moving, fittings, bachelorette parties, and general preparation, I've found time for my hooks. Hook: I keep switching between G and H, though I like H best. Starting this one as soon as First Love is finished! I've also found time for new books. One was suggested by a follow Yarn-Along-er, the other by a co-worker. I'm enjoying the historical angle of both books, though they are from two different eras and have completely different story lines. 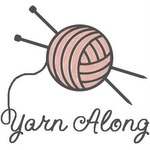 Linking up with WIPWednesday & Yarn-Along! Lovely color! Visting from Yarn Along. That will be a beautiful shawl. Gorgeous mulberry colour. Maybe in all the madness a little quiet time with your hook is needed for your sanity? lovely colour! Whew, that is a LOT going on... I know all about it... That was me last year... all of God's blessings! Sounds like a little quiet time with the hook is perfect right now. 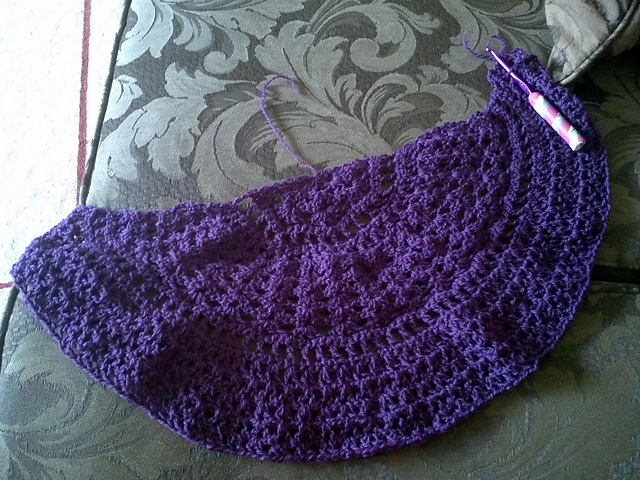 Love the colour you're working the shawl in - Pretty. 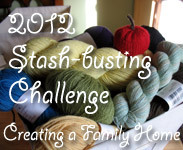 Crochet is a perfect antidote to all of that busyness!